Celeb Gossip News – PS4 games SHOCK: Bloodborne 2 for HUGE Game Awards 2018 reveal? PS4 games SHOCK: Bloodborne 2 for HUGE Game Awards 2018 reveal? From Software has dropped a shock teaser for Bloodborne 2 on the PS4. 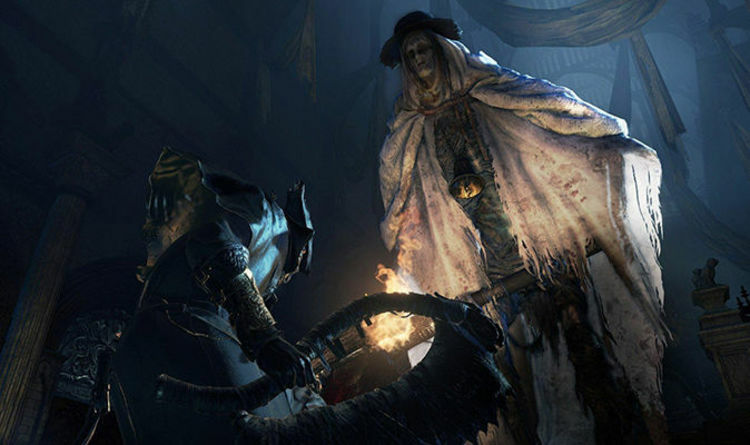 Developed by From Software, the original Bloodborne is a PlayStation 4 exclusive that launched back in 2015. One of the finest games ever made – and certainly one of the best on PS4 – Bloodborne is a gothic horror Souls game that tips its hat to H.P Lovecraft. And with The Old Hunters DLC closing the book on the original Bloodborne, fans have been clamouring for a sequel ever since. There were rumours that Bloodborne 2 was going to be announced at E3 2018, although this turned out to be false. From Software would instead announce Sekiro: Shadows Die Twice for PS4 and Xbox One. The Dark Souls developer also unveiled new PlayStation VR release Deracine, which contains a big teaser for Bloodborne 2. Deracine features an item referred to as the Fiona Doll, which contains an interesting nod to Bloodborne. The item description reads: “A doll of the stone girl Fiona, who appears in the unfinished tale. The doll is also performing the ‘Make Contact’ gesture, which suggests that the Bloodborne tale isn’t over. Perhaps we’ll see a Bloodborne 2 reveal during The Game Awards on December 7. Bloodborne fans should also look out for the release of Dark Souls: Beyond the Grave Volume 2 later this month. Already in the hands of Kickstarter backers, the book takes a closer look at Bloodborne and Dark Souls 3. “This second volume dedicated to the Soulsborne series pursues the study of these games, their cryptic stories, their aesthetic and their design philosophy,” reads the book description. “Bloodborne and Dark Souls III are as different as they are complementary. What they tell us of the studio From Software, the creator Hidetaka Miyazaki’s approach and the video game industry is enriching.